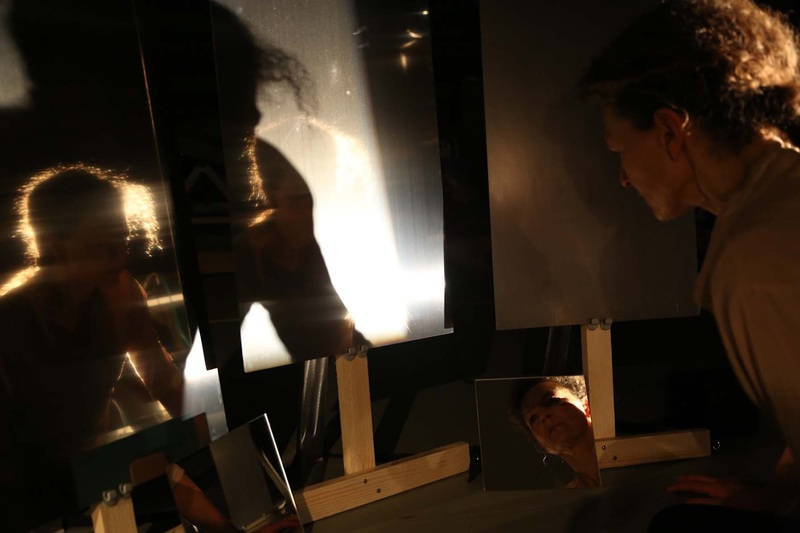 for five days dancers, circus artists and musicians celebrated the art of the now. Bridging contemporary dance and circus with performances and workshops eye and ear were invited to open up to the differences and similarities. 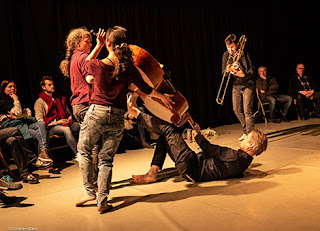 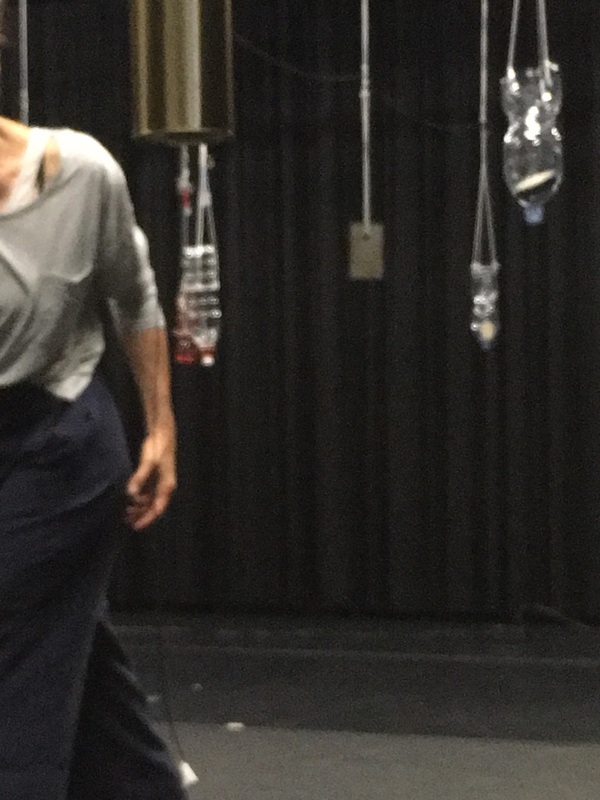 Habits of watching and listening wanted to be refreshed and movement and composition be played out in multiple and surprising ways. 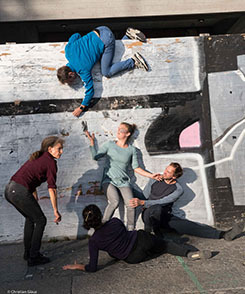 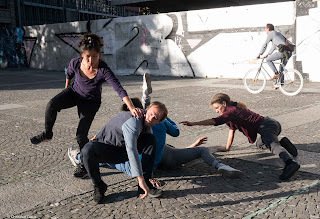 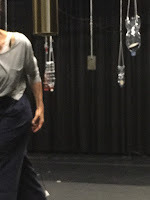 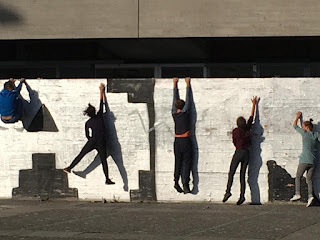 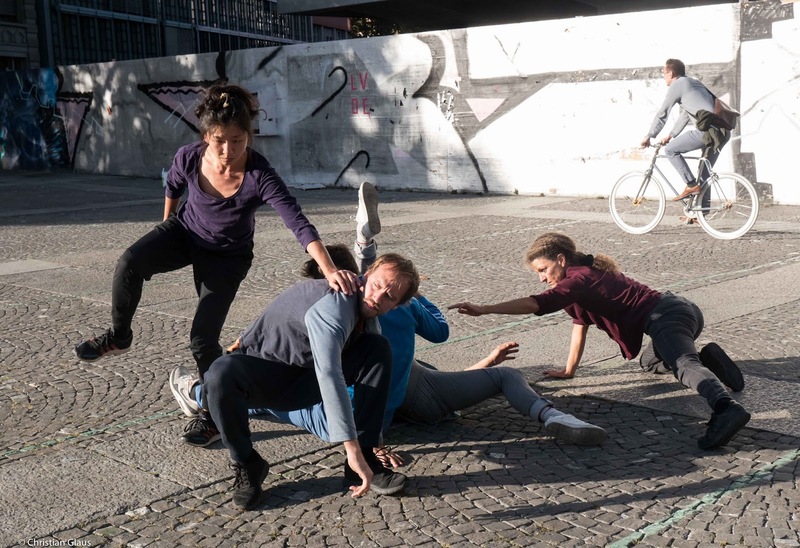 A group of 4 – 7 dancers during two weeks daily create a «city dance» in the after work hours. We bring dance to the people, and let them and the place inspire us. 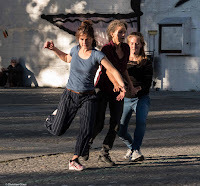 In front of people’s eyes daily a new dance develops, we let them in into the process of creation, and at the same time a piece passes by them. 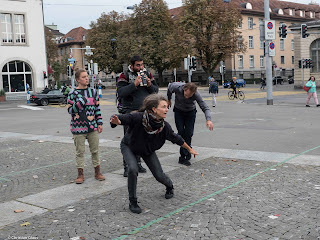 Which dances develop in a place where the city moves and the people of the city dwell?